Sleep apnea is a common condition characterized by a periodic reduction in or a complete stop of breathing during sleep. There are two main types of sleep apnea; obstructive sleep apnea (OSA) and central sleep apnea (CSA). Mixed sleep apnea refers to the combination of both central and obstructive sleep apnea. Apnea is defined as a cessation or near-cessation of breathing for 10 seconds or more that results in a reduction of airflow to 90% below normal. A less severe reduction in breathing is called hypopnea. The basic underlying mechanism is different for the types of sleep apnea. Normally, the brain sends a signal to the respiratory muscles to expand and bring air into the lungs. In central sleep apnea, the brain fails to send this signal, causing disrupted and unregulated breathing. In obstructive sleep apnea, the brain sends appropriate signals and the muscles try to expand to initiate breathing, however, the flow of air into the lungs is obstructed, causing reduced breathing and airflow into the lungs. In general, sleep apnea is less common in children. It becomes more prevalent with increasing age and it is more common in men than women. Obstructive sleep apnea is more common than central sleep apnea. These conditions remain somewhat under-diagnosed in the general population. In children, it may contribute to increased hyperactivity and difficulty with concentrating in school. Causes of sleep apnea depend on whether the main problem is central or obstructive. Central sleep apnea syndromes may be divided into two groups; primary (without an underlying cause) or secondary (as a consequence of another condition). In general, central sleep apnea stems from an abnormal regulatory mechanism in the brain. Premature infants may also be at risk for central sleep apnea. The brain regulates breathing by monitoring levels of oxygen and carbon dioxide in the blood. If the oxygen level is low or the carbon dioxide level is high, the brain signals the breathing muscles to breathe faster in order to expire more carbon dioxide and inspire more oxygen. On the other hand, if the oxygen level is too high or the carbon dioxide is too low, then the brain slows down breathing to allow for a more normal balance. In central sleep apnea, this regulatory mechanism is disrupted and the brain's recognition of, or response to, oxygen and carbon dioxide levels is impaired. As breathing stops or slows down, the oxygen level drops significantly lower and the carbon dioxide level increases significantly higher than the levels necessary to trigger normal breathing. This leads to a transient exaggerated over-breathing to compensate for significantly higher levels of carbon dioxide and lower oxygen levels. Subsequently, the over-breathing can result in overshooting the oxygen and carbon dioxide levels, initiating another episode of apnea. In obstructive sleep apnea, the problem is not the regulation of breathing by the brain, but rather, it has to do with an obstruction to the flow of air into the lungs. The brain signals the muscles of breathing to take a breath. The muscles attempt to take a breath, but no air can flow due to the obstruction of air flow. Therefore, the oxygen levels fall and carbon dioxide levels rise to a level that signals the brain to wake the body up to take a breath (resulting in gasping for air). between the vocal cords before entering the lungs. retraction of the tongue to the back of the throat. Other more serious complications of sleep apnea can include workplace or automobile accidents (people are three times more likely to have car accidents due to sleepiness). Some people with mild sleep apnea may have no obvious symptoms at all. Additionally, sleep apnea may lead to frequent awakening of the bed partner resulting in insomnia and its associated symptoms. If symptoms and signs suggestive of sleep apnea are present, then proper medical evaluation is warranted. A primary care physician may be the best person for initial assessment and screening for sleep apnea. Referral to a sleep specialist may also be necessary for further evaluation and treatment of sleep apnea. Evaluation of sleep apnea usually begins with taking a detailed and comprehensive medical history. Other medical conditions (most importantly, heart and lung diseases), a complete list of medications, history of drug and alcohol use, smoking history, and a review of symptoms pertinent to sleep apnea are typically included in the history. A complete physical examination by the doctor is also an important part of the evaluation. Particular attention may be given to the examination of the heart and lungs, body weight and height, evaluation of the neck circumference, and examination of the oral cavity, pharynx, tonsils, and nasal passages. The patient's family members and bed partners also need to be questioned about the patient's sleep patterns, snoring, breathing problems during sleep, witnessed apnea during sleep, and symptoms of sleep apnea. Polysomnography is the best available test (gold standard) used to diagnose or rule out sleep apnea. Based on the medical history and physical exam, if the doctor suspects sleep apnea, he or she may then refer the patient to a sleep specialist to perform this study. Polysomnography (sleep apnea test) typically requires an overnight stay at a sleep center designed for this purpose. The individual is hooked up to monitors while they sleep during the night. Several parameters are detected by these monitors including heart rate, blood oxygenation, rate of breathing, electrocardiogram (ECG or heart monitor), electroencephalogram (or EEG, to monitor brain activity and sleep stages), limb movements, eye movements, and airflow. Many useful data are generated from an overnight sleep study, which are then analyzed by the doctor to make a diagnosis of sleep apnea. An apnea-hypopnea index (AHI) is calculated using the data by dividing the total number of episodes of apnea and hypopnea by the number of hours of sleep. An index of 15 or more is suggestive of sleep apnea (roughly one episode of apnea or hypopnea every four minutes). Respiratory disturbance index (RDI) is another measurement of breathing-related sleep problems, but is less commonly used now than AHI. Other information is also obtained from the sleep study including limb movements, snoring, oxygen saturation, total sleep time, and sleep disturbances. These additional data can be used to further support the diagnosis of sleep apnea or to diagnose other sleep-related disorders. Another advantage of the overnight sleep study is that once the information suggests sleep apnea, then treatment with a special breathing machine called a CPAP (continuous positive airway pressure) can be initiated and a rough comparison of the quality of sleep with and without the device can be made. This is called a split study. Today, technology is available to conduct home sleep apnea testing (HSAT) in appropriate patients. The data provided by any one of many home sleep tests is adequate to establish the diagnosis of OSA. However, there are patients and conditions that can only be appropriately assessed in the lab. If the diagnosis can be made at home, the initiation of PAP therapy can also be done with follow-up by a sleep specialist to determine the effectiveness of the therapy. Appropriate treatment of sleep apnea is essential when the diagnosis is made in order to treat the symptoms, but more importantly, to prevent the significant co-morbid conditions associated with untreated sleep apnea. An important part of the treatment for sleep apnea may include behavioral modifications and lifestyle changes. Many individuals with sleep apnea may have fewer episodes of apnea if they sleep in certain positions. Most commonly, lying on the back can induce more episodes; therefore, sleeping on the side may be a simple step to improve sleep. Other behavioral modifications may include improvement of the bedroom setting to induce sleep, good sleep hygiene, avoiding eating or exercising prior to sleep, and using the bedroom only for sleeping. Excessive alcohol intake, smoking, and other drug use should be avoided. Complying with the treatment of other diseases is also essential to the adequate therapy for sleep apnea. Obesity and weight gain are major contributing factors to obstructive sleep apnea. In some reports, weight loss has shown to be an important step in the treatment of sleep apnea. There are no specific medications or natural remedies to treat sleep apnea. However, it is important to note that medications for any underlying conditions contributing to sleep apnea are essential to its adequate management. There have been investigations of some medications for the treatment of obstructive or central sleep apnea, but there are not any conclusive data available at the present to replace the conventional therapy with the medical devices discussed below. 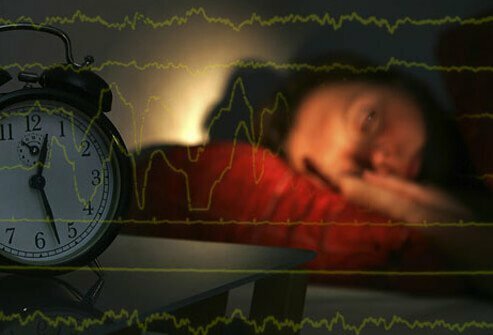 One medication, modafinil (Provigil), has been approved by the U.S. Food and Drug Administration (FDA) to be used as an adjunctive therapy for individuals with persistent daytime symptoms of sleep apnea despite adequate conventional treatment. This medication may help daytime sleepiness in patients with sleep apnea; however, it is not a replacement for CPAP or other modalities. Temporary treatment for nasal congestion or other reversible and transient causes may also be beneficial when necessary. As described above, CPAP or continuous positive airway pressure is the cornerstone of the treatment for obstructive sleep apnea and most cases of central sleep apnea. This is a breathing machine which pushes air into the airways with adjustable intensities and pressures. This sleep apnea machine has tubing connected to a mask that is placed on the patient's nose (nasal CPAP) and is tightened by straps behind the head. The nasal masks come in different sizes and can be fitted individually. The airway pressures are determined based on the data from the polysomnogram and may be adjusted or titrated as needed. The pressure essentially helps keep airways open, reduces episodes of apnea and hypopnea, and improves oxygenation by constantly providing air. The main problem with CPAP is patient adherence. The machine and mask may be bothersome, bulky, and restricting; thus, patients may not wear them all night or every night. For some patients with central sleep apnea a noninvasive positive pressure ventilation device (NIPPV) may be more beneficial than a CPAP. The difference is that a NIPPV device can be set to provide a back-up respiratory rate in individuals who have central sleep apnea due to hypoventilation (breathing less than the normal rate). This assures that a minimum number of breaths are taken regardless of the patient's own respiratory drive. Oral or mouth devices are also available for sleep apnea. In general, these oral appliances are made to keep the oral airway open by protruding the jaw forward, and preventing the tongue from falling on the back of throat and causing limitation of air flow. Some studies have shown clinical benefit with these mouth devices in mild to moderate (but not severe) obstructive sleep apnea by reducing the apnea-hypopnea index. It is best to have these oral devices made by a specially-trained dentist for adequate fitting and adjustment. Studies comparing CPAP to mouth devices for sleep apnea have found more objective improvement of sleep based on polysomnographic data using a CPAP machine than with an oral device. However, subjective data (sleep quality and improvement of daytime symptoms reported by patients) favored the oral devices. Custom fitted pillows for patients with sleep apnea have also been studied. These pillows work by extension (backward stretch) of the neck, thereby increasing the caliber of the oral airway and decreasing the degree of obstruction. At present, the available data fail to conclusively support their use or effectiveness; however, some studies suggest these sleep apnea pillows to be beneficial in mild obstructive sleep apnea based upon both subjective reports and overnight sleep studies. It is generally not recommended to use these pillows for moderate or severe sleep apnea or as a replacement for CPAP. Apnea alarms are sometimes used in cases of central sleep apnea in infants. These alarms monitor episodes of apnea and make a sound when apnea is sensed. The sound wakes the child (and the parents) in order to resume normal breathing. Most infants outgrow this problem, and use of the alarm is discontinues at that time. Surgery is sometimes recommended to treat sleep apnea. There are several types of surgery available depending upon the individual situation and the airway anatomy. Surgery may be recommended in cases in which other non-surgical treatments (CPAP or oral appliances for sleep apnea) have been tried without success or when they are not feasible. Most surgical procedures involve the reduction of airway obstruction by removing some of the tissues in the airways (soft palate, uvula, tongue reduction, etc.). Similar to any procedure, sleep apnea surgeries are associated with some degree of risk and possible permanent side effects. The risks and benefits of the procedure need to be thoroughly discussed with the surgeon and the sleep specialist before proceeding. It is generally recommended to try the non-surgical options initially before contemplating a surgical option. It is also essential to have a complete sleep study done to clearly diagnose the condition before considering surgical options. There are two main reasons for this. To prevent an unnecessary surgery if sleep apnea is not the correct diagnosis. Once the surgery is performed, it may mask the signs of sleep apnea, such as snoring, and this can lead to ongoing sleep apnea without being adequately recognized, diagnosed, and treated. Once a formal diagnosis of sleep apnea is made, proper follow-up with the primary care physician and the sleep doctor is very important. Appropriate management of any underlying conditions and encouraging behavioral therapies play a significant role. Assessment of the symptoms of sleep apnea, adherence to treatment, fitting the sleep apnea mask, and adjustment of CPAP machine settings are also important components of follow-up care. Prevention of sleep apnea syndromes may be limited to preventive measures related to underlying medical conditions that contribute to sleep apnea. Similarly, behavioral approaches such as weight loss, smoking cessation, regular exercise, avoidance of excessive alcohol intake and drug use, and proper sleep hygiene may be steps to take in regard to the prevention of sleep apnea. The overall outlook for sleep apnea is favorable as long as it is recognized, diagnosed, and treated early. Dangers of untreated sleep apnea can include development of high blood pressure, heart disease, heart attacks, heart rhythm disturbances, chronic fatigue, memory and attention problems, and accidents. "Overview of obstructive sleep apnea in adults"
What kinds of treatments have been effective for your sleep apnea? What were the symptoms of your sleep apnea?